It is challenging to find the true cause behind our doing 'dumb' things, so most of us ask ourselves that question and stop there. Well lucky you - this series of articles holds the keys to helping you to understand, why at times you can feel under pressure, make a fool of yourself, react in a way that hurts you and others. Generally, whenever you have done something 'dumb', the reasons for that behavior are hidden in your subconscious. It is a pattern of being that you have played out instinctively. The problem is that when you are driven by unconscious forces you can be doomed to repeat over, and over, behaviors that don't serve you or serve others. There are probably roles in life that you play out instinctively, seemingly without choice. Maybe you are known for being a particular type of person - for example, people might describe you as a nurturer, or a warrior, or a rebel, storyteller, comedian, teacher, bully. These shortcuts, to describe people and patterns of behavior are known as archetypes. The language of archetypes has been around for many thousands of years - Carl Jung was the psychologist who brought the usage of archetypes into modern day language. (Plato was the original writer about them), so it goes back a long time. Rather than being trapped by "Why Did I Do That? " followed by a shrug of the shoulders, you'll be able to recognize when your actions are being driven by an archetypal pattern. It's important to note that the archetypes have both positive and negative aspects. For example, the positive aspect of the Victim archetype is to help you build your own sense of personal power and self-esteem. In its negative side (known as the Shadow) the Victim archetype places you in a position where you blame others and fill yourself with self-pity for the circumstances of your life. In recent times Caroline Myss has done much research on archetypes and has documented in her book Sacred Contracts many of the stories, myths, and legends that help us to understand archetypes. Caroline believes that we can demonstrate aspects of any archetype, given the right circumstance. However, she says that each of us have 12 archetypes that are our constant companions throughout life. These constant companions help you to be uniquely you, bringing with them lessons and influences that help you evolve and grow. 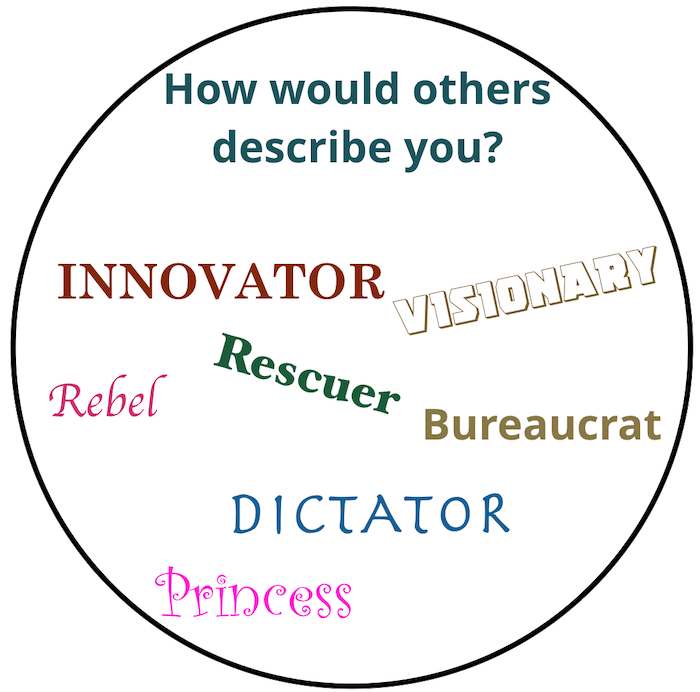 For example, some of the archetypes that seem to dominate in my life are: Storyteller, Writer (funny that! ), Teacher, Pirate. Caroline says, there are four universal archetypes that resides within each and every person on this planet. The four universal archetypes that Caroline talks about are: Victim, Child, Saboteur, and Prostitute. I suggest there's a 5th universal archetype that each and every one of us needs to come to grips with and can learn from - The Judge. Read in more detail about each of these archetypes and the impact they can have on your personal and business life. There are exercises on each page to help you recognize when each of the archetypes are present in your life - either because you are using it or someone you are interacting with are in the grips of a shadow moment. The very best thing you can do for yourself, and your people, is to take the time to educate them with this knowledge in a training session. Through this self-discovery process, people can start to see themselves clearly and see how the various archetypes play out in their own life. Then, if you've done a good job of helping them to become insightful, they will often catch themselves in the midst of an archetypal challenge, and make a different choice. If they don't catch themselves, you now have a common language that you can use with that person, without him or her getting overly defensive. They may, or may not, appreciate you calling them on it, but more often than not it does cause them to stop and think through 'Is this the person I want to be?'. If someone is complaining to you or acting in an inappropriate way a good question to ask (assuming you've taught them this concept) is, "Which of your archetypes is playing out and/or talking to me right now?" The next time you find yourself in a heated situation, in which you are upset and reacting in a negative way, being cranky about something, having a hissy fit, maybe saying or doing something that you might later regret, (let's call this the Game), try to take yourself out of the game. It's almost as if you are having an out-of-body experience, looking down upon yourself, at what you are doing and saying. "Which of my archetypes is dominating at the moment"
"Is this who I want to be"
Then jump back into your game. You may or may not make the choice to behave differently, but at least you are aware of what you are doing and who you are being. You will possibly find, that the more that you train yourself to flip between being in the game and being your own out-of-body coach, that you will bring a lot more power into your life. Your archetypes are your guides to understanding the higher plane of your life. The bigger picture perspective that your archetypes gives you opens up a world of possibilities. Now, you have free will to decide whether you wish to use the energy of that archetype wisely or not. Your personal evolution will leap forward as you reflect upon how you are leading your life. From your reflection you will gain insight into how to live differently and be different to avoid the crises and dramas of life; you will strengthen your understanding of what you do that creates great success, so that you may ensure you continue along this pathway. You will be able to replace fear with courage.